As a gift to our readers, we will be featuring daily giveaways for the month of December. 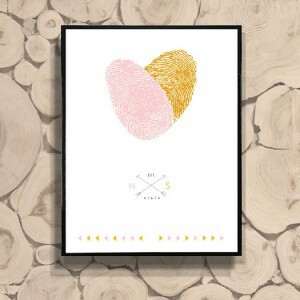 Our giveaway for today comes courtesy of Amie Jones from Flutterbye Prints. 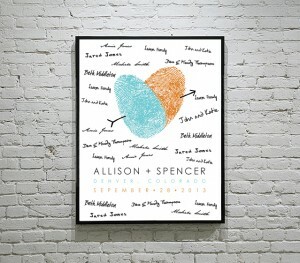 The talented Amie Jones is the creative force behind flutterbye prints, a wedding print company. Amie has managed to transform something as simple as a fingerprint into a memorable work of art. 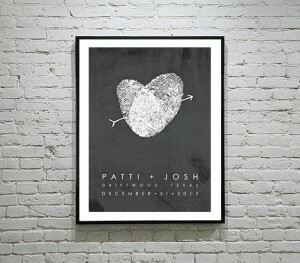 Flutterbye Prints creates customized prints and stationary – the most unique being one-of-a-kind artwork featuring a couple’s own fingerprints. 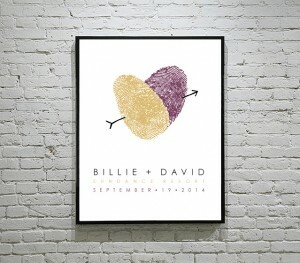 Flutterbye Prints’s posters can be the perfect addition to any wedding. 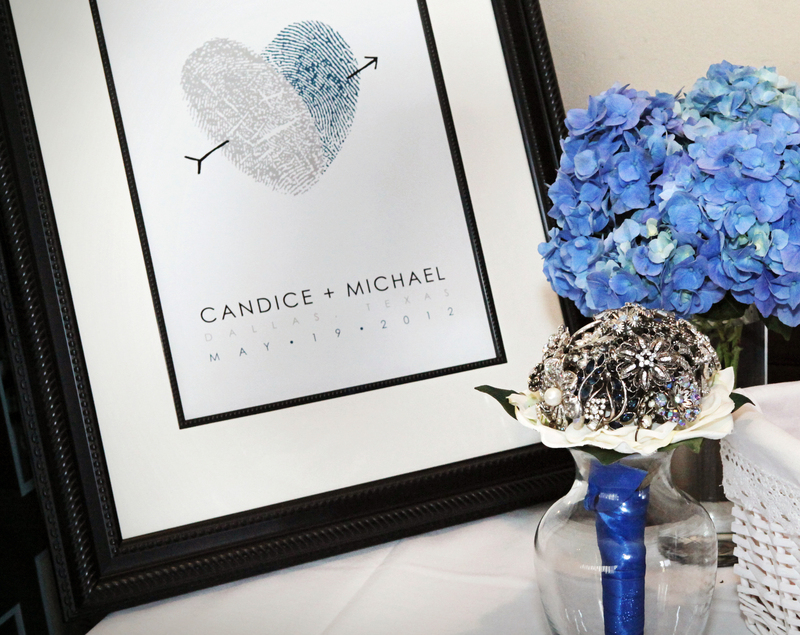 The post can serve as a guestbook and a great keepsake for the bride & groom. Please complete the form below for a chance to win a Free 8×10 poster. 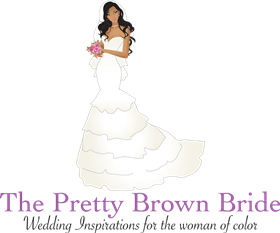 The winner be announced on The Pretty Brown Bride website & facebook page.